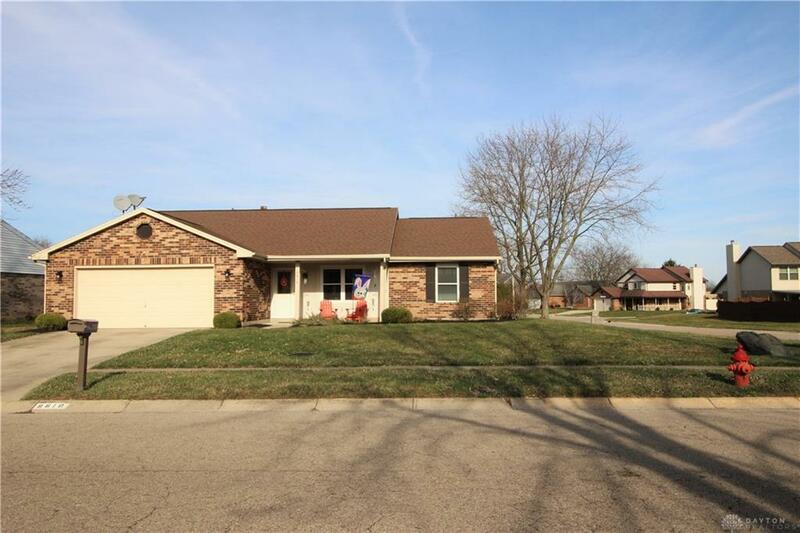 Charming and immaculate well-maintained exterior and interior 3 bedroom and 2 full bath Stockton model brick-ranch on a corner lot features a large open living room and dining room with vaulted ceilings. 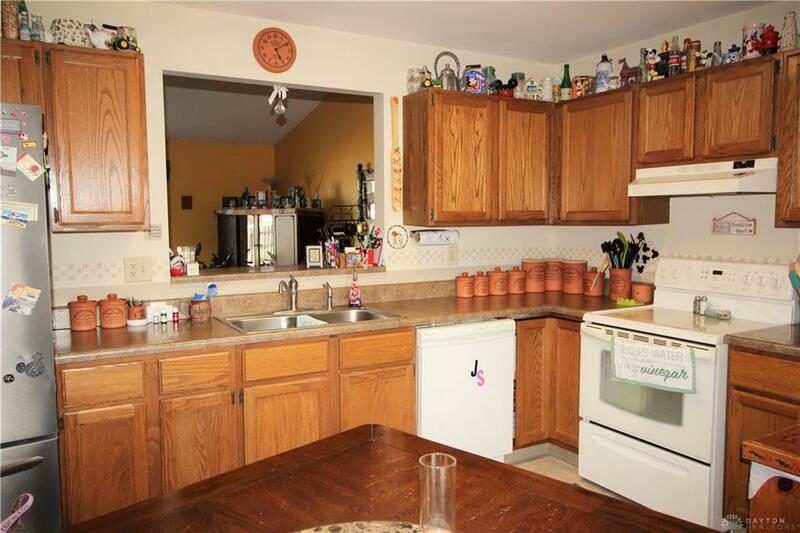 Kitchen features a pass-thru window to the great room with a bar counter for entertaining. Current owner has taken pride through maintenance as well as upgrades which include new exterior door, new patio door, new windows, new interior doors, new gas fireplace insert, newer appliances, and newer ceiling fans. Bathrooms were fully updated in 2017. Enjoy the outdoors on the quiet private patio in the rear as well as the low maintenance landscaping with a large corner lot. Minutes from Wright Patterson Air Force Base, I-70, and I-75. 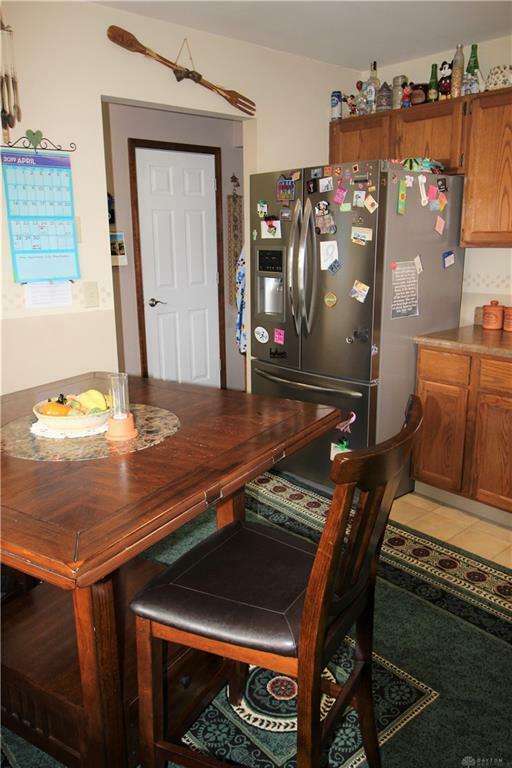 Minutes from entertainment, Water Park, YMCA, parks (hiking trails, fishing), restaurants, horse-back riding, and shopping. 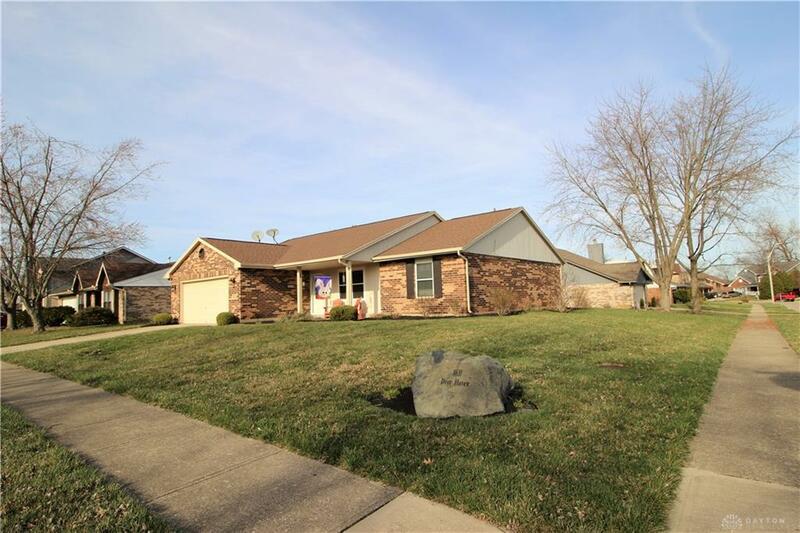 This home features a home warranty transferred from the seller to the new buyer at closing. Listing provided courtesy of Jerry B Wamsley of Keller Williams Advantage Real. © 2019 Dayton Area Board of REALTORS® MLS. Information Deemed Reliable But Not Guaranteed.